I found this article interesting after reading about several new breweries that are opening this year in the Washington D.C. area. In the U.S. a new brewery opens regularly; in Greece, Heineken limits start-ups. We were miffed that not many Virginia wineries were participating in the Washington D.C. Wine & Food Festival and think we've discovered a clue. During the same weekend of February 12th-13th; the Virginia Wine Showcase is being held at the Westfields Marriott in Chantilly. Tickets are very reasonable $45 for a tasting; $20 for non-tasting; and children under 11 are free. Why not bring the kids and get a hotel room. Executive Chef John Emerson, Wegmans Food Markets Inc.
We are not the only outfit tasting Double IPAs or making beer videos. Check out Beer Review Dude and their collection of reviews including this one for the Terrapin Hopzilla Double IPA. Also, visit this social networking site over at Craft Beer Network. 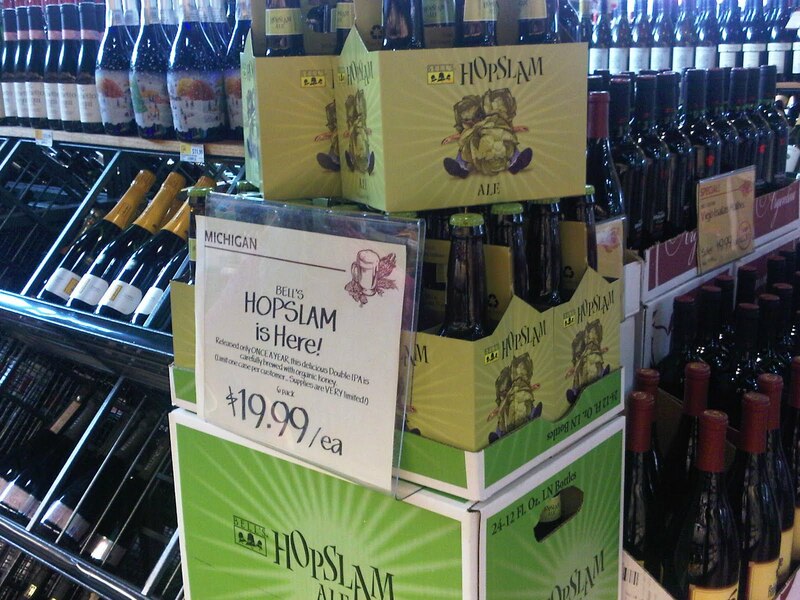 Bell's Hopslam Ale - Is It Worth the Hype and Price? 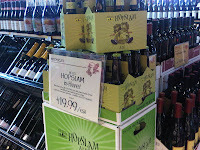 This past Friday, we drank for the first time, several glasses of Bell's Brewery's seasonal cult-classic Hopslam Ale. Most of my associates were very familiar with the beer and the restaurant, Fireworks Pizza, ran out that evening. A nearby music venue, Galaxy Hut, also exhausted their supply in one night. What makes this double-IPA so special? Well, it starts with "six different hop varietals added to the brew kettle & culminating with a massive dry-hop addition of Simcoe hops". Now, you would think this massive dose of hops would result in an overly bitter concoction, but no, it is balanced by sweet malt and a dose of honey. The beer's aroma is the most powerful we've experienced, and the flavor profile complex and spicy - reminiscent of of a Belgium Ale. Truly a great tasting beer; but worth the $20-$25 price per six-pack. Well considering that same evening we spent $7 for average tasting beers at the 9:30 Club; at $4 a beer - its a bargain. Yea, there is still some sticker shock when purchasing a case, but this isn't the type of beer to guzzle in an evening - its one to savior throughout the year - hopefully our case will last that long. 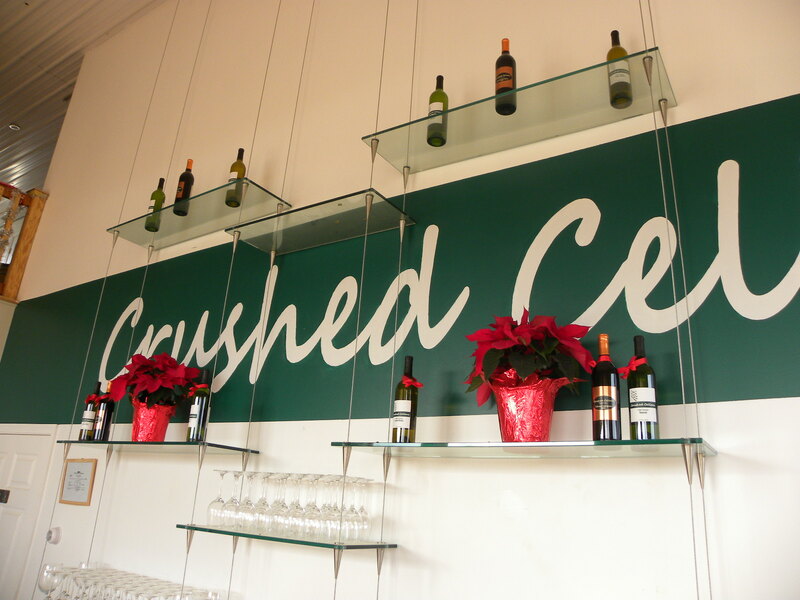 This evening while scanning through our wine cellar I came across the Crushed Cellars Seyval which we had purchased at a winery visit a couple weeks back.And sadly, we prompted forgot to publish a winery visit. Fortunately Dezel from MyVineSpot has all the details; I just remember that proprietor Bob Kalok offers one of the best Seyvals that we have tried in quite a while. Its made dry with nice acidity which worked well with the Thai rice and veges this evening. The wine also has flavor, which many Seyval wines lack. The same holds for the other two wines we tasted, a semi-dry Vidal and a Cabernet Sauvignon. We will be back soon - maybe this weekend to stock up on more Seyval and perhaps some farm fresh eggs. According to the Washington Post, Gov. Robert F. McDonnell will unveil a proposal Wednesday to close 332 state-owned liquor stores and replace them with 1,000 private retail outlets - a scaled-back version of a plan he's pushed for months to end Virginia's monopoly on the sale of distilled spirits. Under McDonnell's liquor proposal, the state will continue to act as the wholesaler of liquor in Virginia, buying thousands of cases directly from distilleries and selling them at a profit to private retailers, who would then set prices for consumers. Aides to the governor hope prices will fall because the state will cut the markup it applies to liquor prices from 69 percent to 50 percent. The stores would be be sold off over an 18-month period that would start July 1. McDonnell hired PFM, a national financial management company, at a cost of more than $75,000 to consider ways to privatize the state's stores without losing money after he did not have enough votes to hold a special session to take up the issue. Licenses would be sold to the highest bidders and split among big-box stores, such as grocery stores and Wal-Mart; convenience stores and drugstores; package stores and wine stores; and small convenience stores. A legislative study released in November showed McDonnell's original proposal may have overstated by tens of millions of dollars the amount of money Virginia could make from selling the entire system. His new figures came from PFM. CNN's Jim Boulden needs to join Wine-Compass.com; if he did, he would quickly realize that Virginia contains more than the two dozen he claims in this report regarding U.K. and Virginia sales. 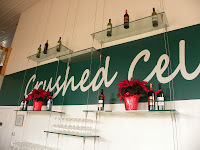 Heck, Florida has over two dozen wineries, as does Minnesota, Nebraska, Wisconsin, Iowa, Georgia, and many other states. 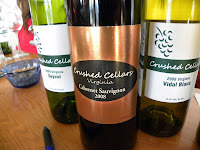 For the record, Virginia currently contains 190 wineries.